I just returned from a fun mother-daughter getaway in Charleston, and it was the perfect way to kick off the spring season. The gorgeous, low-key southern city provided the perfect backdrop to relax, sight see and take in some QT with my mom! 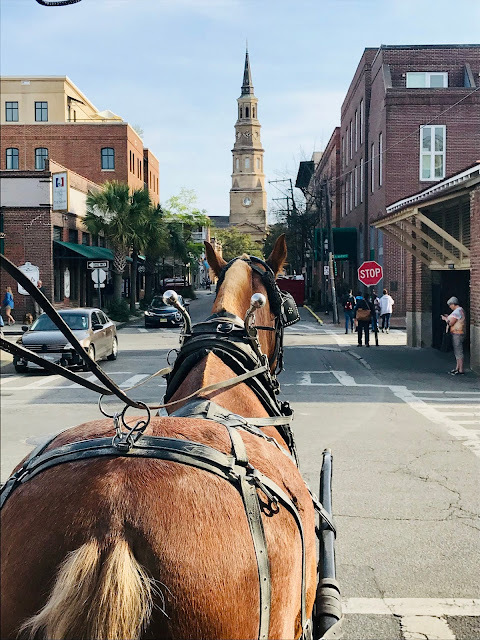 We spent five nights, six days in the "Holy City," and below is a glimpse at what we did while we were there. Afterwards we shopped on King Street which has so many cute local boutiques, as well as national brands like J.Crew, Kate Spade, Gap, etc. From there we explored the Charleston City Market, and then took a carriage ride. The carriage ride gave us a great birds eye view of the city and helped us plan for what we wanted to do that next day. Right before we left, we found out that the city's annual Festival of Houses & Gardens would be going on while we were there. We started our day by visiting The Historic Charleston Foundation to pick up our tickets, before embarking on the tour of the homes on Anson Street. When we lived in Vail, our school would host a home tour every year, which was always so much fun. 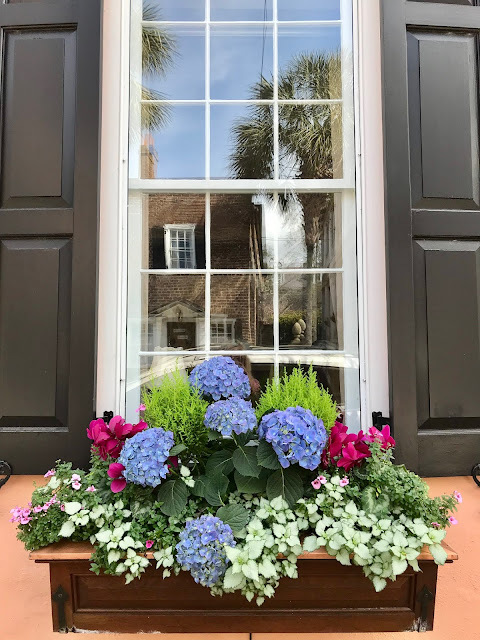 This tour did not disappoint, and was a fun way to see some local historical houses and their beautiful decor. 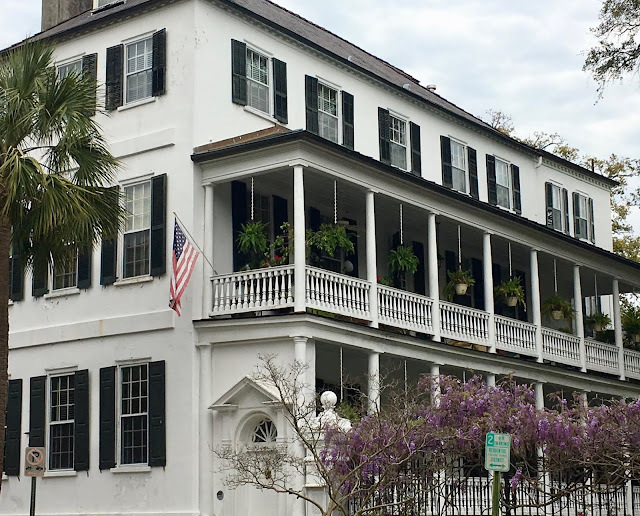 Once we finished, we visited the Gibbes Museum, the Old Slave Mart Museum, and in the evening we took a ghost and graveyard tour. 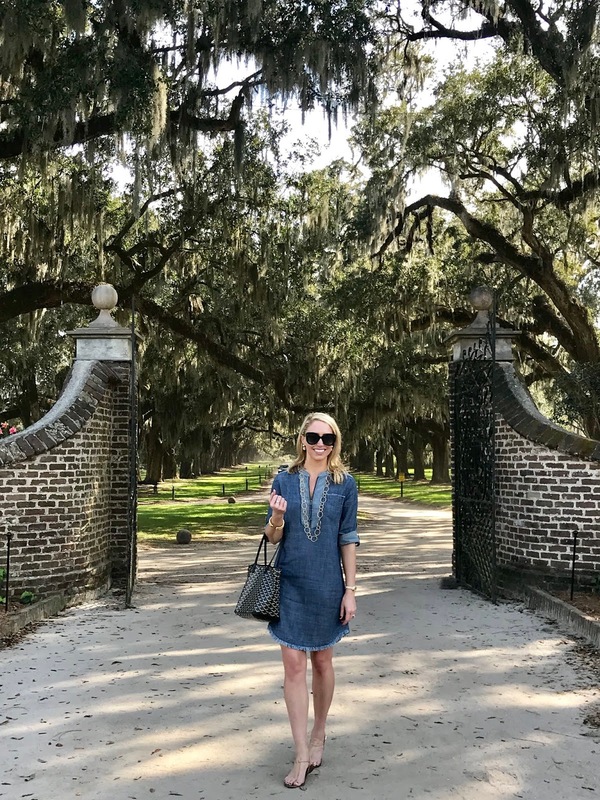 On our third day, we visited Boone Hall Plantation . 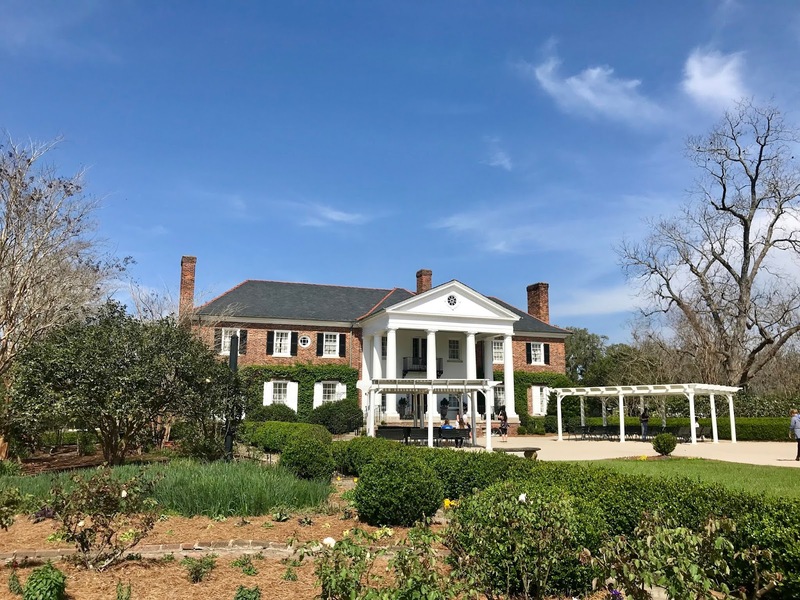 Just a quick 30 minute drive from the hotel, this plantation was absolutely stunning, and is the most photographed plantation in the US. It's easy to see why - from the cascading oak trees, to being the backdrop for countless tv shows and movies (the Notebook was filmed there), it had so much charm. We spent the afternoon there, and got to tour the mansion, explore the grounds, and even see a wedding take place! When we returned to the hotel, we had dinner before going to the Hotel Vendue to enjoy the sunset and city view on their roof top bar. From there we walked along the water and saw the cute pineapple fountain. For more info on why the pineapple is significant, and its origins, click here. Today was filled with visiting several homes and mansions. 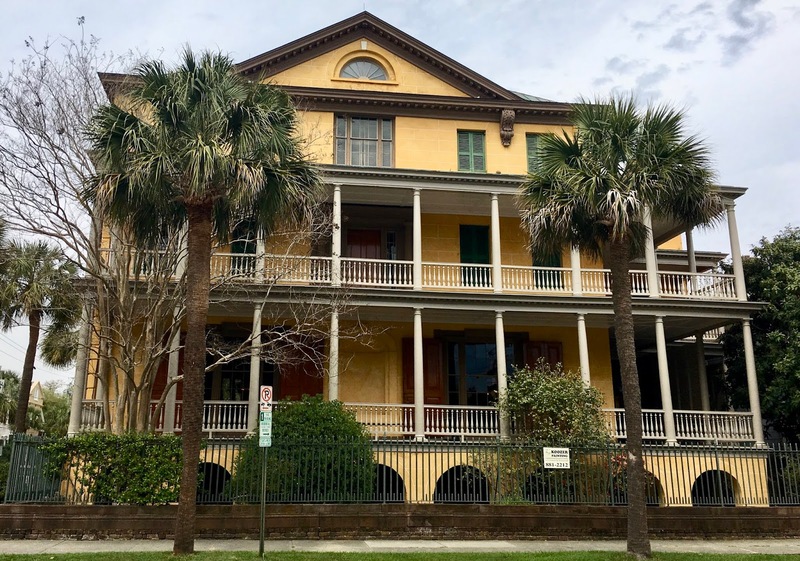 We went to the Nathaniel Russel House, the Calhoun Mansion, and the Edmondston-Alston House. 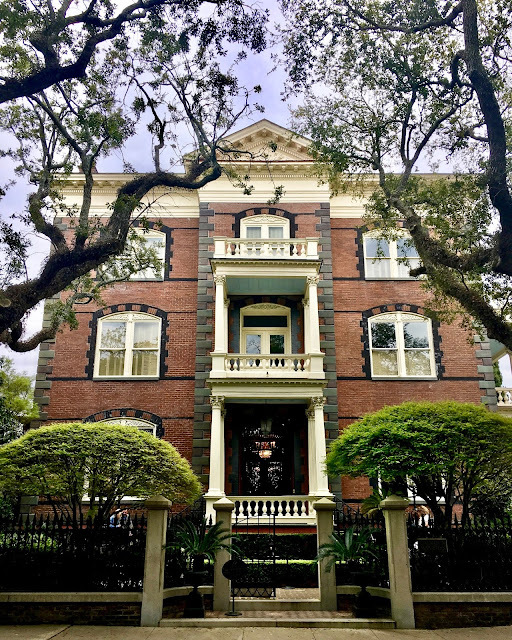 I found the Calhoun Mansion to be the most interesting because it was filled with at least 10,000 antiques, works of art, and original lighting from Tiffany & Co. It's also the largest single family residence in Charleston, and the newest owner still resides on the third floor. He purchased the 24,000 square foot house in 1972, and spent 25 years restoring it to what we see today! It was pretty incredible. Once we finished, we walked along The Battery, and visited the White Point Gardens before calling it a night. 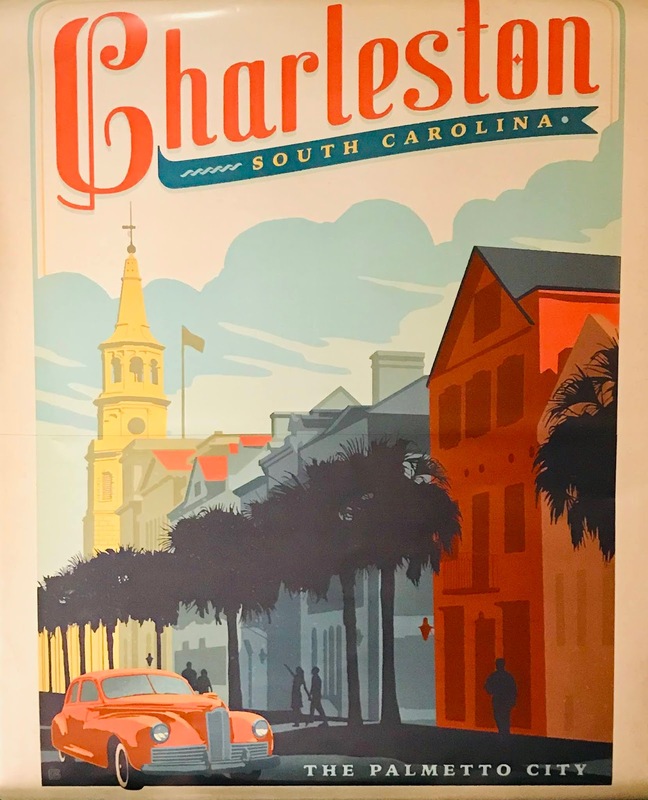 On our final day in Charleston, we continued the theme from the day before, and saw three more homes/mansions. We visited the Aiken-Rhett House, Joseph Manigault House, and Heyward-Washington House. 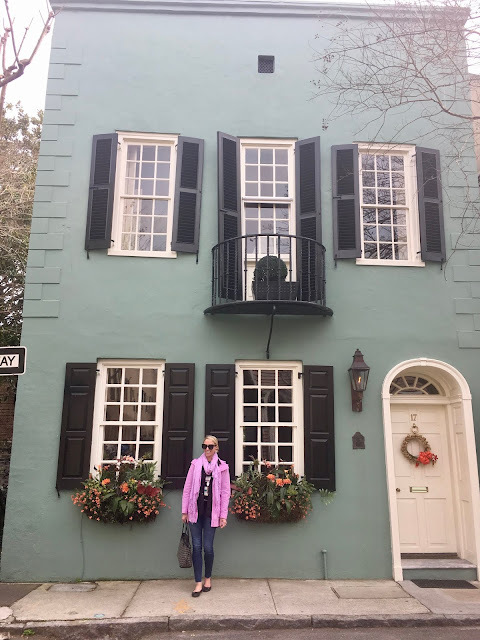 The last house was of most significance, as George Washington stayed in this house during his week long visit to South Carolina in 1791. After that we explored some darling back streets before seeing Rainbow Row which is synonymous with the city. 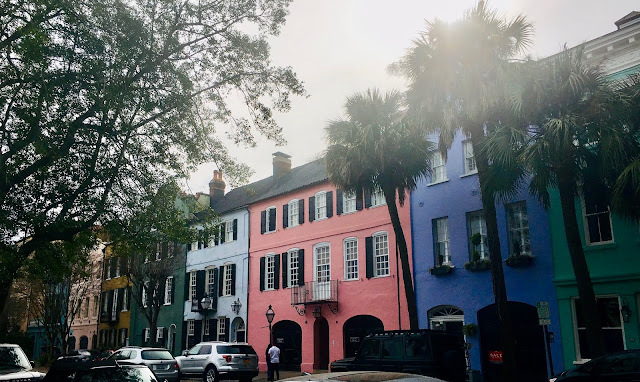 This colorful row of houses was absolutely darling, and bloggers, tourists and locals alike were all snapping photos. 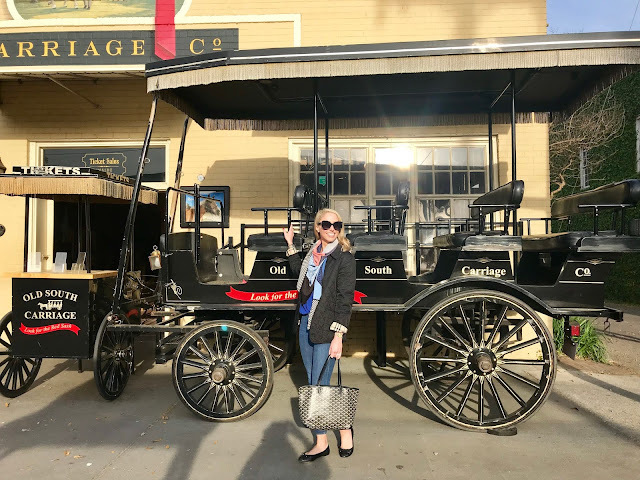 If you've followed along with my other travel posts, you know I like to see and do as much as possible. It is definitely a trait I get from my mom, and we were go-go-go on this trip. We walked about six miles everyday, and I loved every minute of it. 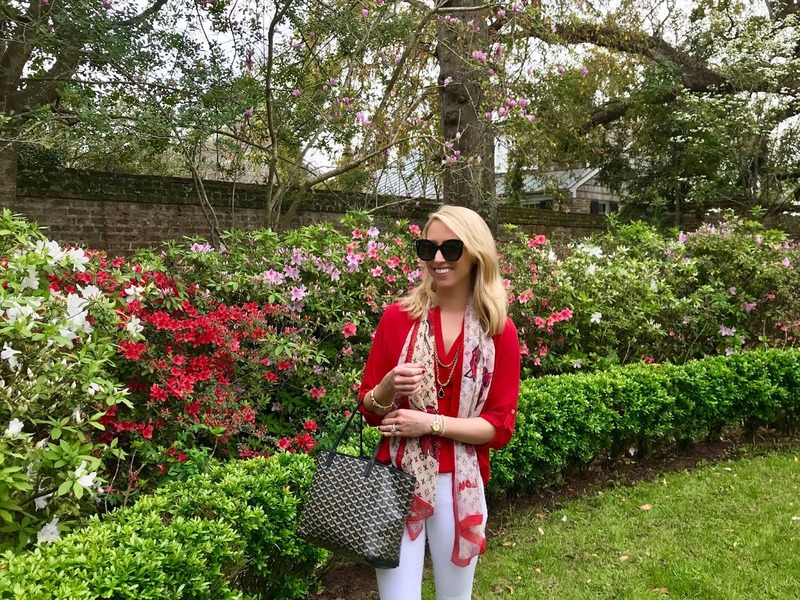 I absolutely love walking, so coming from a city like Houston (where you can't walk), it was nice to be able to explore the city by foot. During our visit, we stayed at the Belmond Charleston Place, and I cannot rave about the hotel enough. 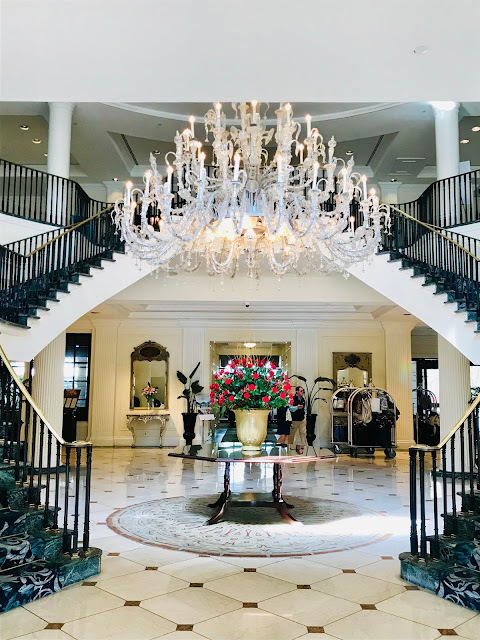 From the moment you step inside, you're greeted with Southern hospitality, surrounded by world renowned shopping (think Gucci and Louis Vuitton), delicious restaurants, and unparalleled accommodations. Also, the location is hard to be. 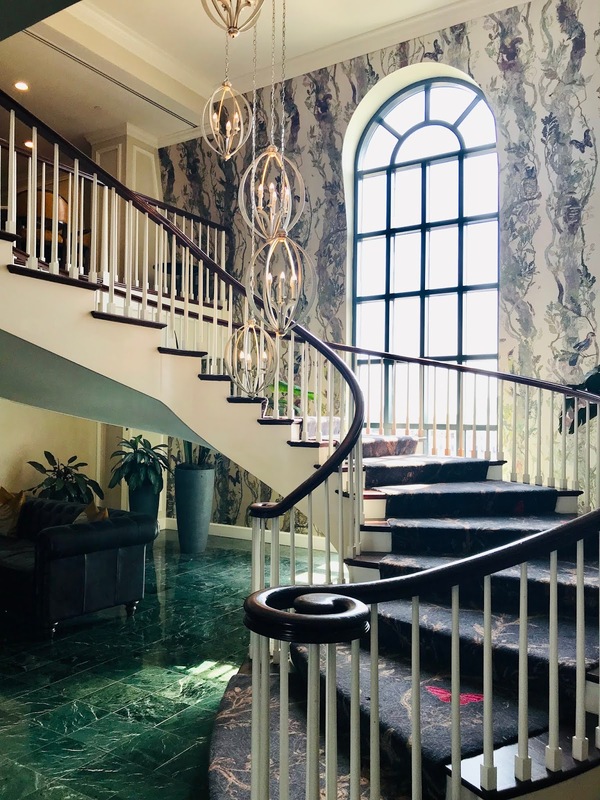 When you step outside, you're right in the heart of downtown, making it easy to get to everything. 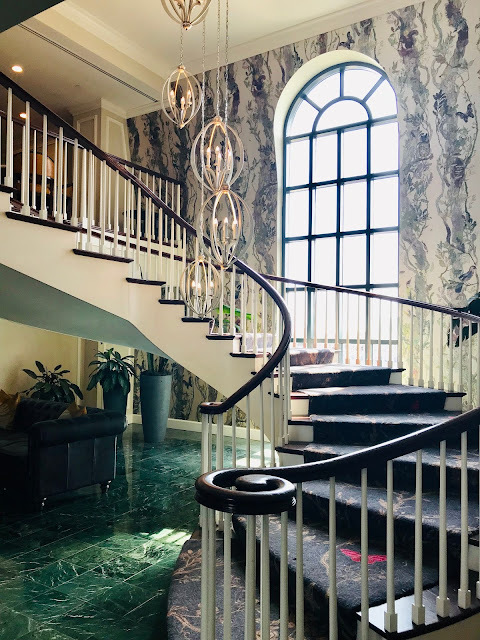 The gorgeous double staircase in the lobby gave way to the luxurious decor and amenities we could expect in our room. We stayed on the Club Level which is situated on the top two floors of the hotel, and can only be accessed by people staying on the 7th & 8th floors. The spacious lounge offers amazing all day service, which includes complimentary food and beverages. The food was beyond compare and included breakfast, afternoon tea, evening hors d’oeuvres and desserts. On the menu while we were there was lobster mac and cheese, shrimp & grits, lamb chops, beef tenderloin, She Crab soup, and sooooo much more. Just writing this is making me hungry! Being a world traveler, and having stayed in some of the best hotels that feature club levels, this far and away exceeded my expectations. From the incredibly friendly staff, to the yummy tea cakes and delicious chardonnay, it was definitely a great additional amenity. 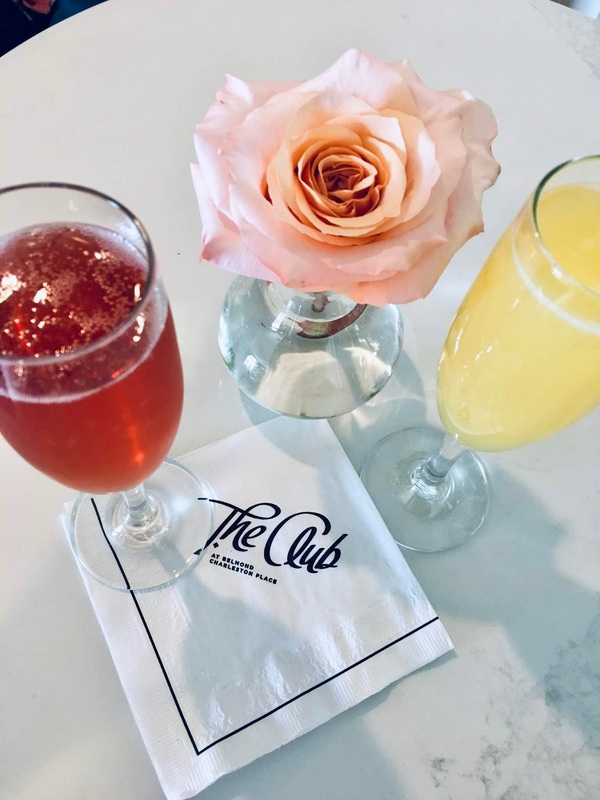 I would highly recommend staying at the Belmond Charleston Place, and if you want a five star experience, be sure to book a room on the Club Level! 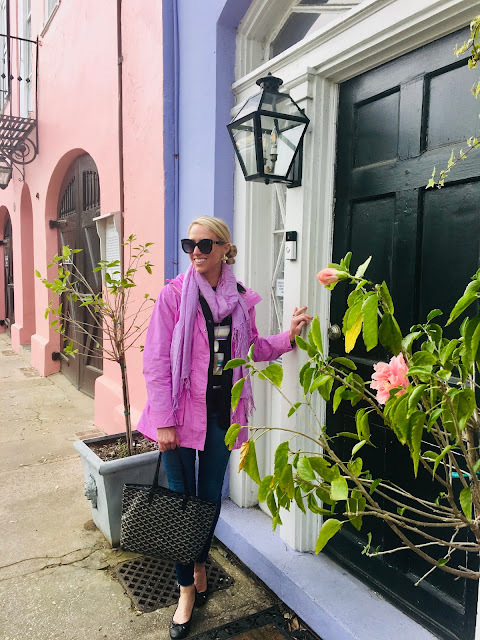 Thank you to Belmond Charleston Place for partnering with me on this post. As always, all thoughts and opinions are my own. Thank you for supporting the brands that make Ashley Nicole Style possible.